Glory Barnabas’s running career began unexpectedly in 1963. Then a trainee teacher, she was asked to join the Teachers Training College’s 4x100m team at the last minute when one of the runners fell ill. Glory had little experience of running prior to this, but she did well, and her team won the race. The late athletics coach Tan Eng Yoon spotted her potential and took her under his wing. 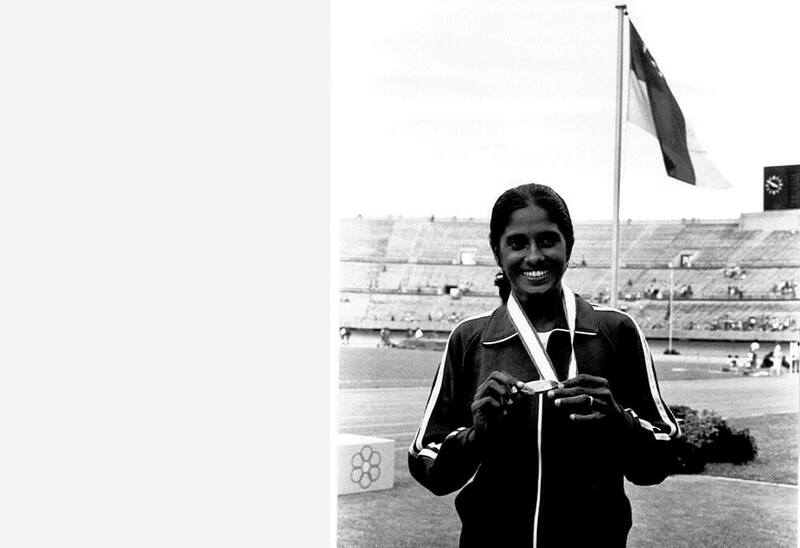 Glory was a member of Singapore’s golden generation of track and field athletes that won numerous medals at the SEAP Games from 1965 to 1975. 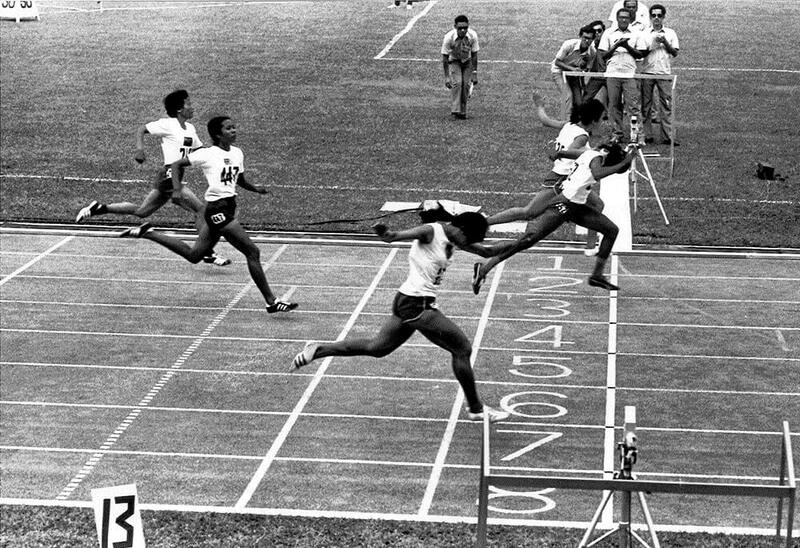 The 1973 SEAP Games was held in Singapore, and the Singapore track and field team did particularly well, winning six golds. “Everybody was talking about Than Than from Burma. She was in lane 1. I was in lane 3. I had to be very careful; I knew that to beat her, I’d have to start very fast because she had a very good start and finish. “From the start, I could see her compatriot Aye Shwe in lane 7. I could not see Than Than. I told myself I must beat Aye Shwe round the curve, which is about halfway through, as she was the second-best runner from Burma. I caught up with her. “But coming to the 100m mark, I knew I was second and Than Than was at least another 1 metre ahead. I gave my all to run the final 100m at top speed, all the way to the finish. I had this feeling that I would have to lunge forward to execute a good finish. Growing up, Glory was an active child who enjoyed running around and playing ‘police and thieves’ with her neighbours. She was competitive, getting a kick out of beating other children when they did the long jump at a sandpit that Glory created in front of their house. Her mother urged Glory to concentrate on her studies, but her father saw that she had a strong interest in sports and encouraged her try her best. In school she played netball, usually in the Centre position because her strength and speed allowed her to easily dart around the court. Glory taught at Charlton Primary and Mountbatten Primary from 1964 to 1971, then went to Chelsea College of Physical Education in Britain on a British Council scholarship. She returned in 1972 to be a physical education (PE) and English teacher at Willow Avenue Secondary. 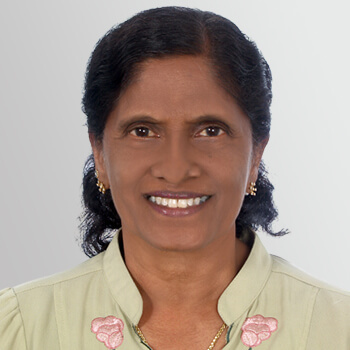 In 1986, she set up and headed the PE department at Tampines Junior College. She taught PE, as well as character and citizenship, at Springfield Secondary School. She also taught PE in Katong Convent (Sec) and Changkat Changi Sec. She used her expertise and vast experience as an international sprinter to impart PE skills to her students. She has remained active in competitive athletics, winning gold in the 200m at the 1987 World Masters Athletics Championships in Melbourne, Australia. In 2004 she switched from track to field, focusing on the long jump and the high jump. In 2013, she won the gold medal in the high jump and the silver medal in the long jump in the 70 – 74 years old age group. Glory is President of the Singapore Masters Athletics, which is the governing body for runners aged 35 and above.